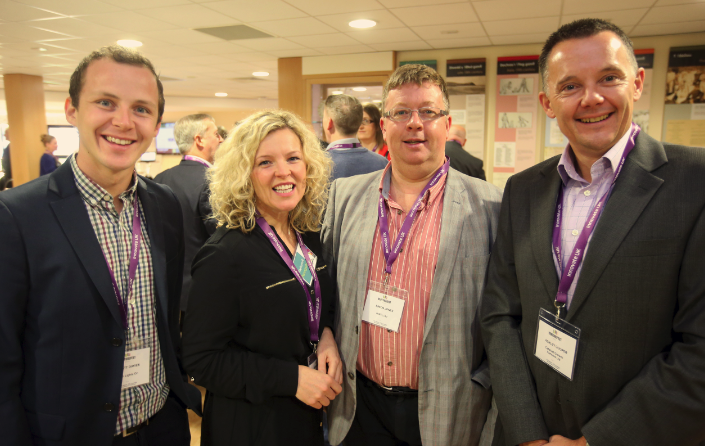 Organisers of Venturefest have announced that the investment and collaboration event is set to return to Wales’ SWALEC Stadium, Cardiff, for its third consecutive year on 28 September 2016. This year’s Venturefest Wales event will focus on breaking through the common business barriers that Welsh business leaders and entrepreneurs have identified are holding them back, as well as bringing together investors with academics, entrepreneurs and innovators to create meaningful business partnerships. Having conducted market research to understand what Wales’ business people view as the main barriers to growth and success, the free event will tackle issues surrounding the six key business themes identified including: sales and business development, planning and forecasting, people development, marketing, recruitment, and technology and will have a major focus on Funding for those innovative ideas and entrepreneurial businesses. 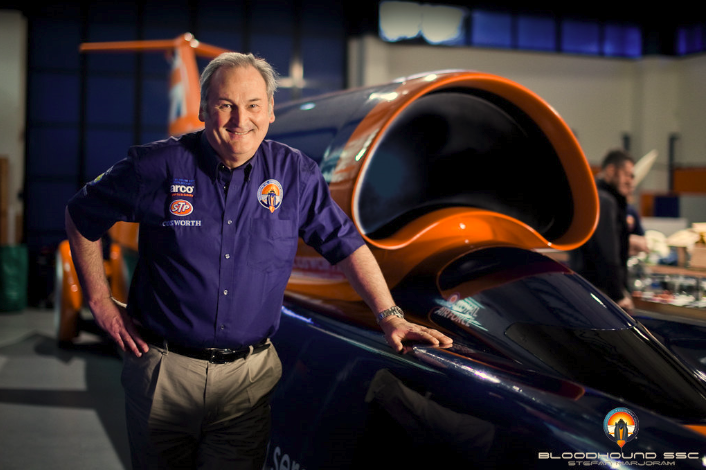 In the lead up to Venturefest Wales, organisers have announced the first wave of speakers who include Richard Noble OBE, the renowned entrepreneur who held the land speed record for 14 years between 1983 and 1997 with Thrust2 and Thrust SSC the first ever supersonic record breaker. Amid the low risk culture of today’s world, Noble specialises in developing high risk ventures and will explore the business benefits of original and unconventional thinking if you truly wish to break through your barriers to success. He will speak alongside Bloodhound SSC design team member Dr Ben Evans, a Senior Lecturer in Aerospace Engineering at Swansea University’s College of Engineering. The Mach 1.4 Bloodhound SSC project is the latest in a long line of land speed record cars now being run through more than 3600 schools in the UK in a bid to show youngsters how science, technology, engineering and mathematics (STEM subjects) can lead to exciting and rewarding careers. Paul Mason, the Interim Director of Emerging and Enabling Technologies at Innovate UK, will also be addressing delegates to tackle head on the technology barriers that Welsh businesses and entrepreneurs currently face. Innovate UK is a programme that seeks to identify, and invest in, technologies and capabilities that will lead to the products, processes and services of tomorrow that have the potential to create billion-pound industries. There will be a major focus on Funding at the event which will include three expert panels consisting of people and organisations who are actually funding business growth at the various stages of Seed Investment; Second Stage Growth and Series A. There will also be a funding forum where a business and their investor will tell their funding story and give pointers to those in a similar situation. In addition to key note speakers, workshops and panel debates, Venturefest Wales will offer delegates the chance to view and test the products and services at the cutting-edge of Wales’ business scene, discovering some of the best people and investment opportunities the region has to offer. Delegates can also expect an environment that blends businesses of all sizes from startup, growth, SME and Corporate together with universities, government bodies, investors, consultants and representatives from professional services, with a view to connecting delegates with like-minded visionaries to share knowledge, ideas and networks. Ashley Cooper, Chair of Venturefest Wales, Director of Catalyst Growth Partners and member of the Regional Entrepreneurship Accelerator Program (REAP) panel, said: “We are aiming to build on the significant success of previous Venturefest Wales events, which saw nearly 1,000 delegates cross the threshold last year alone in a bid to form tangible collaborative partnerships with other professionals. Venturefest will provide solutions to a range of key barriers that routinely restrict business growth irrespective of sector. “It is essential that businesses, whatever their sector or stage of growth, have the ability to learn from those who have already done what they want to do; whether that be in innovating a new product, accessing a new market, joint venturing with a University or Corporate, or recruiting the right people to position the business for the next stage of funding – and then finding the right funder. Key partners in Venturefest Wales 2016 include Innovate UK, Welsh Government, Cardiff University, University of South Wales, Finance Wales, Cardiff Metropolitan University, and Swansea University.